We have three different tracks to accommodate various age groups. 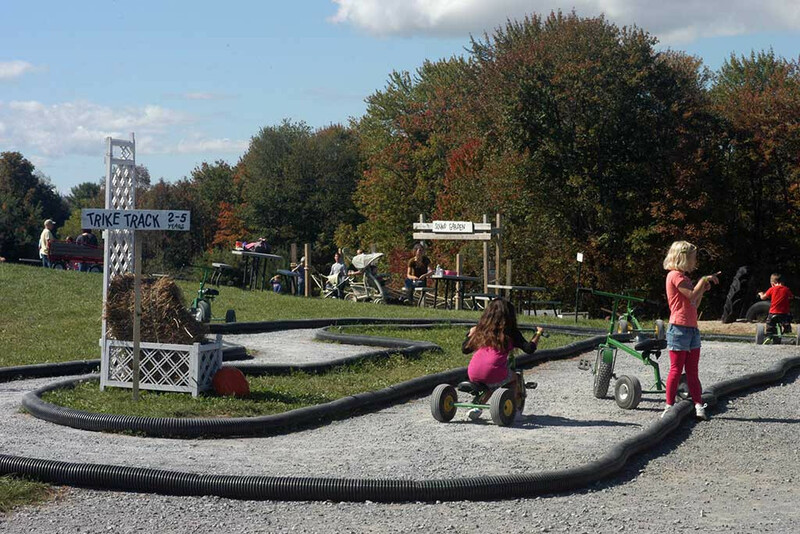 The “trike track” which is conveniently located in front of the cider shed and spaced between the jumping pillow and the duck races is designed for the youngest of our visitors. 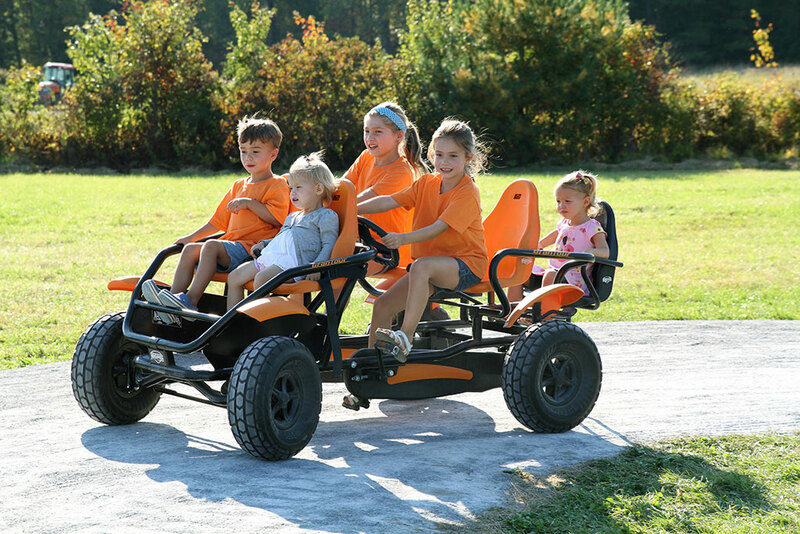 The trikes are sturdy and comfortable to ride. The mid-size pedal carts are for our mid-sized festival goers. One turn has an uphill climb. Those with strong legs, big or small, can successfully make it up the hill. 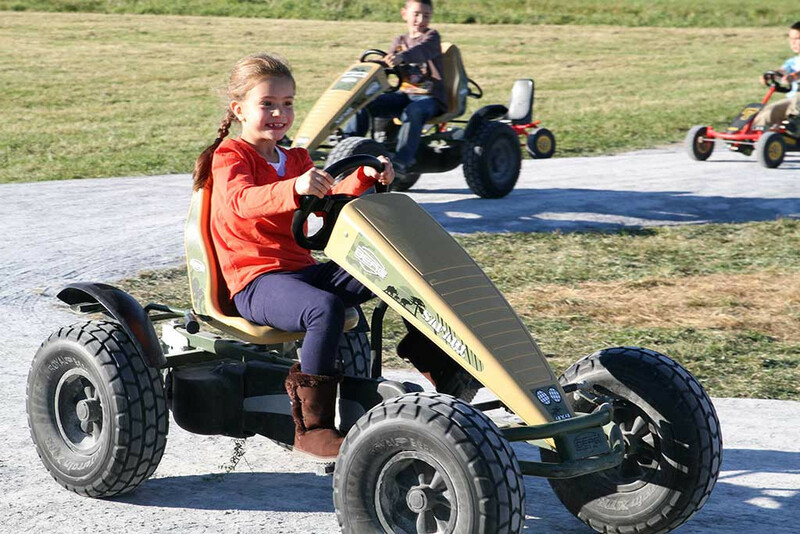 The family pedal cart track known as the Farmer 500 is one of the stand out fun fall activity on the farm. There are single passenger carts that respond to speed demon teenagers, as well as parents. 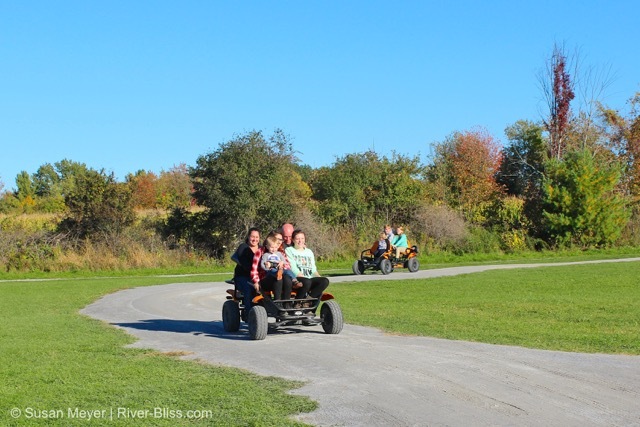 The highlight of this track is our family pedal carts that hold five people. The fifth seat is for those 50 pounds or less. This is a great family activity that all can enjoy. Be sure to take a spin around and see what you think!